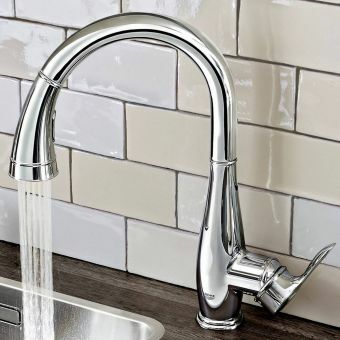 Boiling water taps have been around for a while but the leader has always been Grohe with their Red Duo and Mono variants. 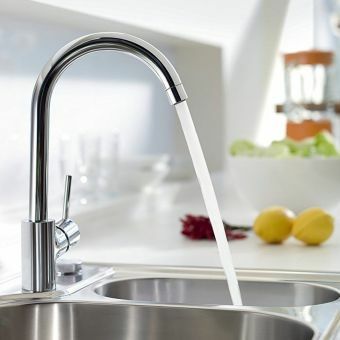 Save time and money by putting the Grohe Red Duo II Boiling Water Kitchen Mixer Tap at your disposal. 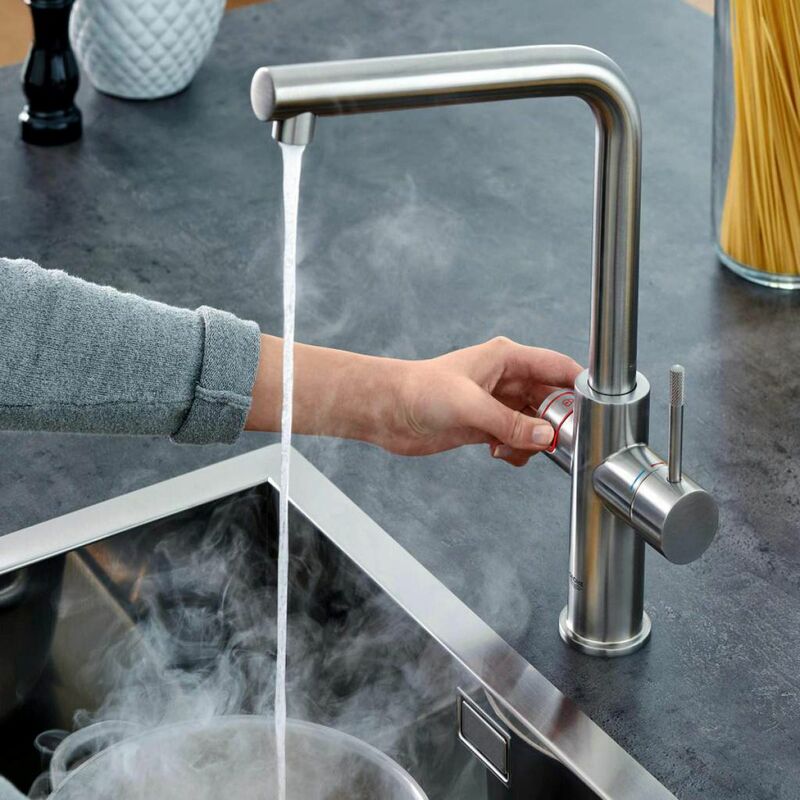 Its elegant curves and angles make it the centrepiece of any modern kitchen and when installed, you can rely on it solely to provide your whole family with boiling water at the touch of a button plus the usual hot and cold water supplies. 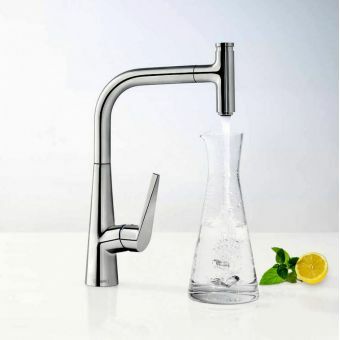 For further benefits, all water going through the Red system is filtered to keep it sparkling clean and clear helping to maintain your health. 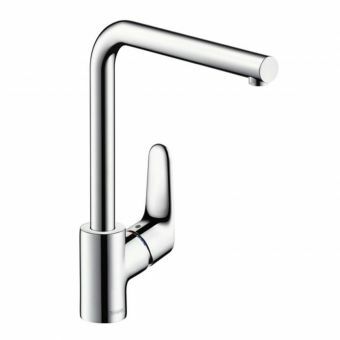 Supplied in two modern finishes of sparkling chrome and brushed Supersteel to compliment or contrast with any interior. 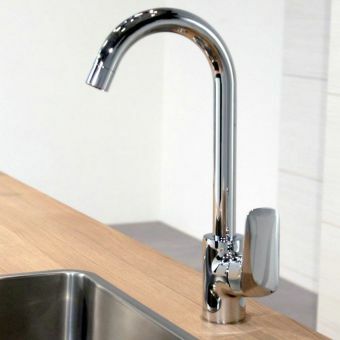 The plumbing components and the 3 litres boiler are kept hidden out of sight below worktop level inside a convenient cupboard, all you see is the mixer. 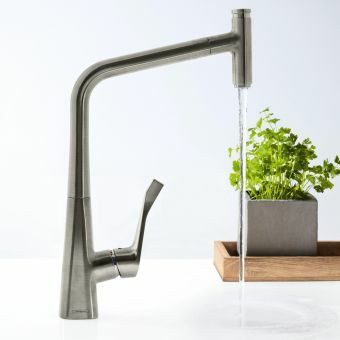 For perfect results, a water supply pressure of at least 2.0 bars is required. 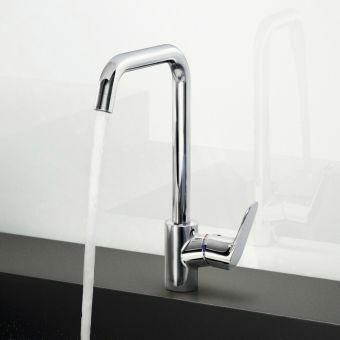 Further features include child locks, a swivelling spout (150 degrees) and an insulated spout. 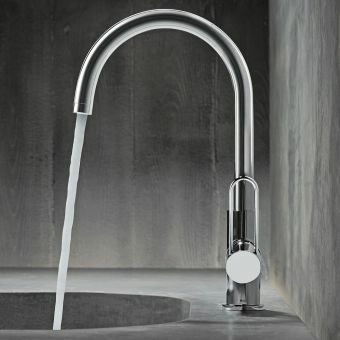 The Grohe Red is big on features and will save you endless time to do the things you like.